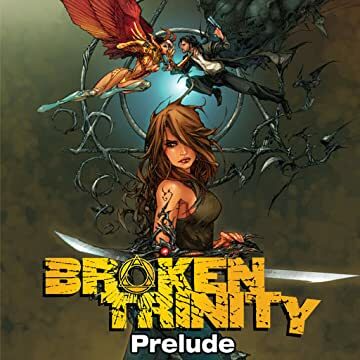 Hot on the heels of last year's hit event First Born, Top Cow proudly unleashes Broken Trinity. 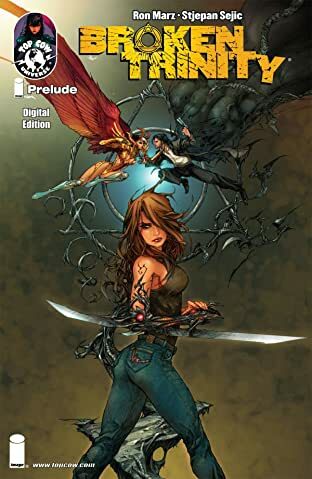 The three-issue summer event will once more force the triumvirate of Witchblade, The Darkness, and The Angelus to collide over the fate of Sara Pezzini and Jackie Estacado's daughter, Hope. In the midst of all the chaos, a new Artifact will surface and alter the landscape of the Top Cow Universe! Brought to you by the First Born and Witchblade powerhouse creative team of Ron Marz and Stjepan Sejic, with a cover by Kenneth Rocafort!